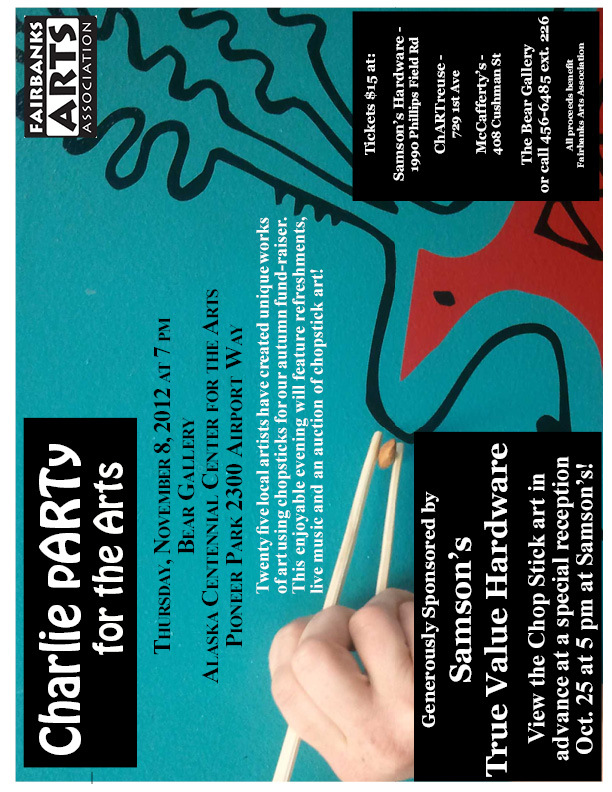 Charlie’s pARTy for the Arts THIS THURSDAY!!! Join us in the Bear Gallery on this Thursday November 8, 2012 at 7 pm for a fun evening of art. Live accordion music by Louise Kowalski, delightful hors d’oeuvres, and a live auction of art made out of chopsticks! Please come out to support the Fairbanks Arts Association.